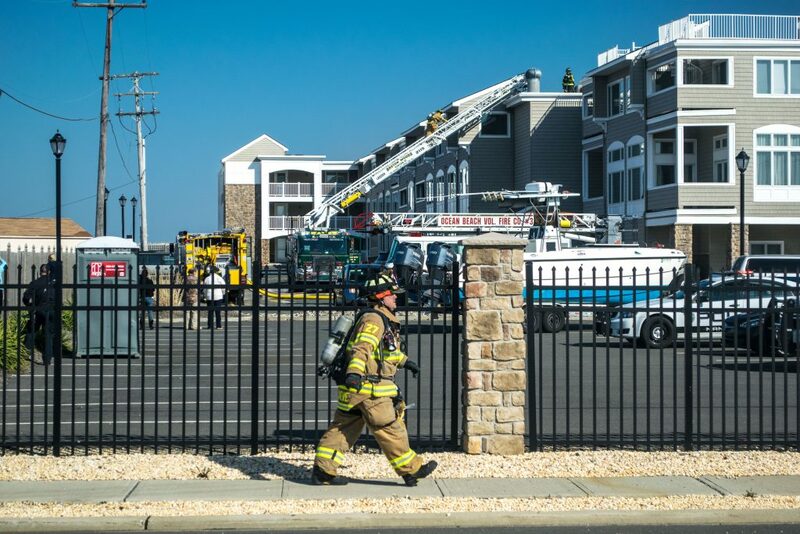 Brick fire officials said Thursday that a fire that spread through a building at the Ocean Club condominium complex has been ruled accidental. Kevin Batzel, chief of the township’s Bureau of Fire Prevention, said investigators from his agency and the Ocean County Prosecutor’s Office narrowed the origin of the fire down to the first floor of Building 1 at the complex. Specifically, he said, crews were examining the soffit area. Strong west winds, gusting to 40 m.p.h., put extra pressure on firefighters battling the blaze to keep it from spreading. Making things more complicated was the fact that the Ocean Club building is not outfitted with an automatic sprinkler system. Electricity remains cut to the entire complex. 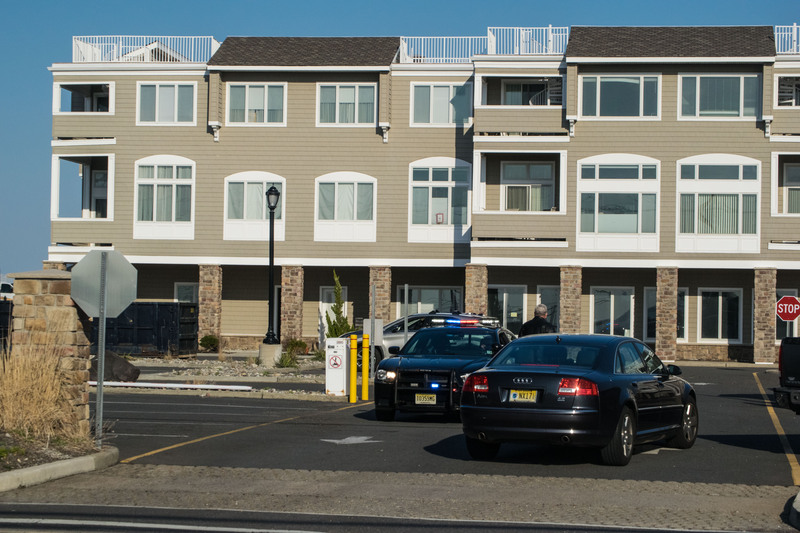 Brick police officers were guarding the entrance to the building on Thursday to shoo away any onlookers, however there was no visible damage that could be seen from the entrance on Route 35, or from nearby Brick Beach III. 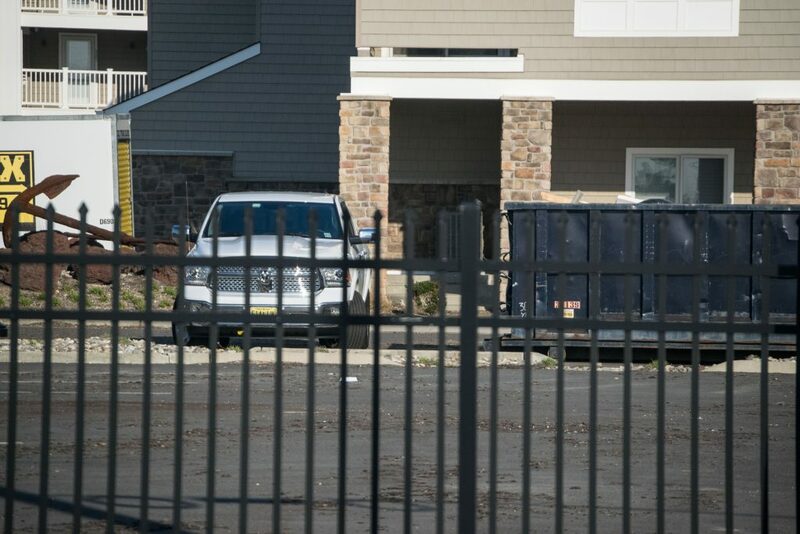 “We’re going to go back out there tomorrow with the electrical inspector from Brick as well as the electrical contractor from the association,” said Batzel, adding that while Building 1 will likely be uninhabitable for some time, the remainder of the complex may be able to be repopulated soon. Damage was particularly heavy along the balconies of Building 1. Firefighters also, at one point, could be seen cutting a hole in the roof. The oceanfront complex has a mix of year-round and seasonal residents. About 30 year-round residents were out of their homes, between the fire itself and the lack of electricity to the building. Batzel said one person inhaled smoke but refused to be taken to the hospital. Another resident was transported to the hospital but was treated and released Wednesday night.